Ravi's scores ensured that he was shortlisted for this job in Josh Technology. However, the point that he began his journey on was what really cinched it. 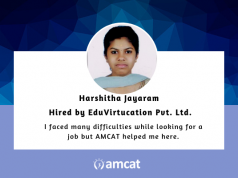 Finding the right set of IT jobs, through the AMCAT test. As a software engineer in a job search mode, many recent graduates in India expect jobs to flow from ‘brand value’ companies – with fantastic workplaces, endless parties and a lifestyle to boast of. Few begin with the basics – IT jobs, fresher jobs that align with the what excites them as a person or can build on their careers accordingly. And these basics were part of the deal in the story of a job in Josh Technology. And the candidate who made it. That’s the point from where we begin our testimonial for the day. Ravi’s story. A tale of how a ‘passionate coder’, who likes to solve problems got his big break. With the AMCAT test. A 2017 graduate of the Maharaja Surajmal Institute of Technology, New Delhi-based Ravi, calls himself a competitive programmer. In fact, his razor-sharp focus on his coding skills ensures that he participates in multiple competitions. And that focus brought him to consider the route of the AMCAT test, to facilitate his job search. Prasad decided to give the AMCAT test with a little preparation. He did so by working on his data structure, algorithms and other programming questions. 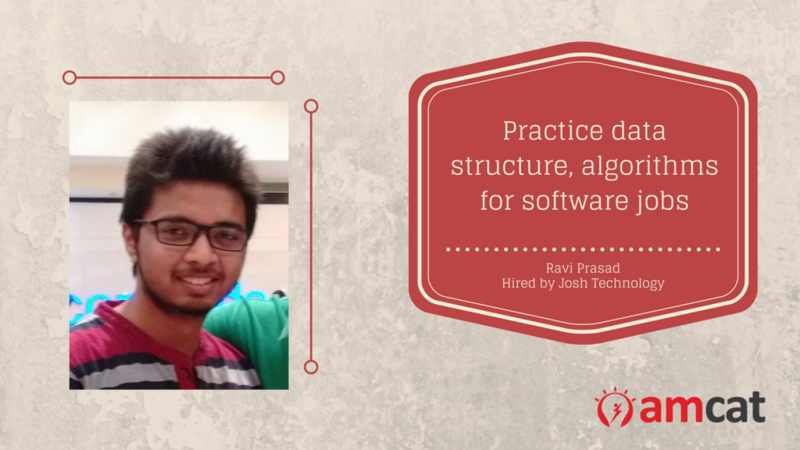 Ravi’s scores ensured that he was shortlisted for this job in Josh Technology. He went for the job interview and passed through multiple rounds confidently and smoothly. It did not sway him away – ensuring that he got the job in the end. 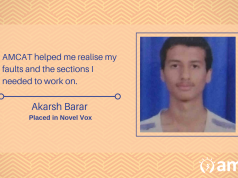 Ravi Prasad from the 2017 batch of the Maharaja Surajmal Institute of Technology, completed his arch on a job search journey. 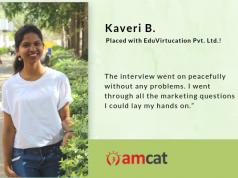 It might be your journey we cover next, in our list of AMCAT testimonials. How? Share your journey with us and we’ll bring it up here. Leave a word in the comments section below. Next articleAMCAT FAQs: Should I Renew My AMCAT Scores Or Take The Test gain?